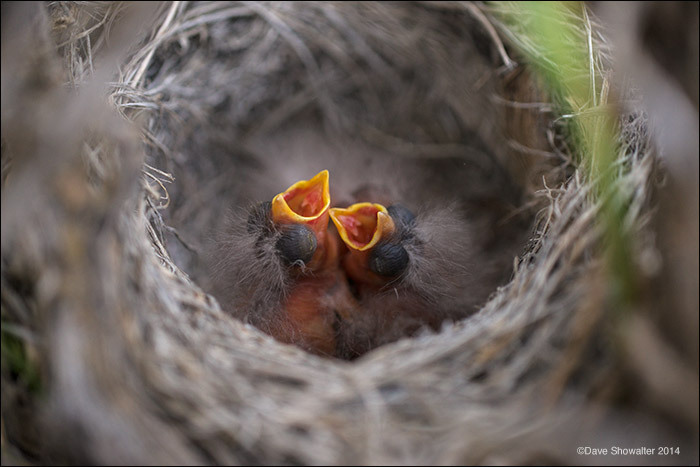 As I approached with a researcher, these nestlings responded to the rustling by making a high-pitched sound in anticipation of a feeding. Sagebrush sparrows are a sagebrush obligate species that breeds and raises their young young in sagebrush - exclusively. Simply, they need good unbroken sagebrush habitat for survival. Photo © copyright by Dave Showalter.